Hi 2019! January felt like it lasted forever, and I think I accomplished more in the month than I have in a while. I attribute some of that to finally feeling settled in at home, and I can't wait to see what the rest of the year holds! 1. 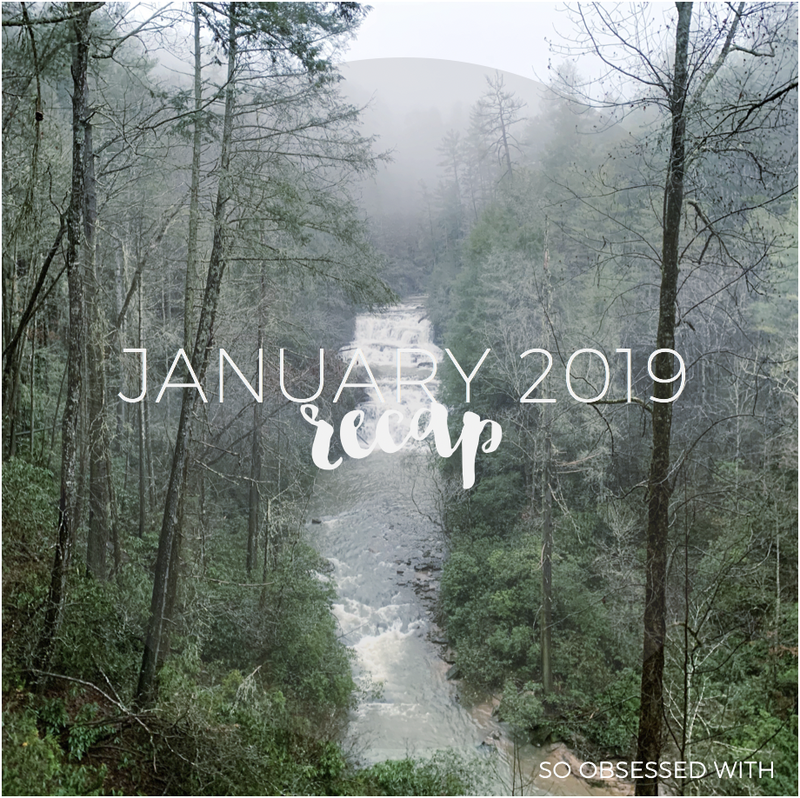 My Best of 2018 – I'll talk about this more in the blogging section, but I loved looking back at 2018 in January. It's always one of my favorite things about the end of the year and the start of a new one! It was fun to relive my reading memories when choosing my favorite books of the year, which I shared in a post. 2. Aquarium Adventure – One Friday, I woke up in the mood for an adventure. My son and I decided on the aquarium and were so happy when Nick was able to take the day off of work to join us. It was technically our son's third visit, but I think he enjoyed it more at this age and hasn't stopped talking about it since! 3. Book-Inspired Craft – We love the book Lola Dutch in our house. In one scene, she's painting with watercolors. Every time we read it, my son tells me, "I want to do that!" So, he got watercolors in his Christmas stocking, and we finally used. It was so fun, and I loved that the activity was inspired by a book we read together. 4. Cozy at Home – I had a cold that last like two weeks, so we spent a lot more time at home this past month. But it was just what we needed after the busyness of the holiday season! We played, watched movies, and just enjoyed the coziness. And one last bit of happy? I got good news at a doctor's appointment for my thyroid! “We're all blessed and we're all blighted, Chief Inspector,” said Finney. “Be careful. You're making hurting a habit. “In those days, too, I remind myself, our parents were something else. for somebody that was like me. I don't believe in soul mates anymore and I'm not looking for anything. “But it doesn’t seem right to me that you can feel so horrible and the other person doesn’t feel — anything. I think this is the first time in months that I have something to share beyond "here's my monthly recap" in this section. As I mentioned at the beginning of this post, I felt like I accomplished so much in January! I blogged regularly, finished a lot of books, and binged some great TV shows. But I was probably lazier about doing chores around the house, so don't give me too much credit. You win some, you lose some. Although it wasn't my first post of the month, I feel like I should start with my December 2018 recap. Even when it's late, I never want to skip it. I recapped the year, too, with my My Year In series. I talked about my favorites from 2018: Music, Movies & TV, Beauty, Books, Obsessions, and Adventures. Alexa and I kicked off another year of The Picky Pledge, which I always enjoy. I'm excited to complete our TBR challenge again this year! 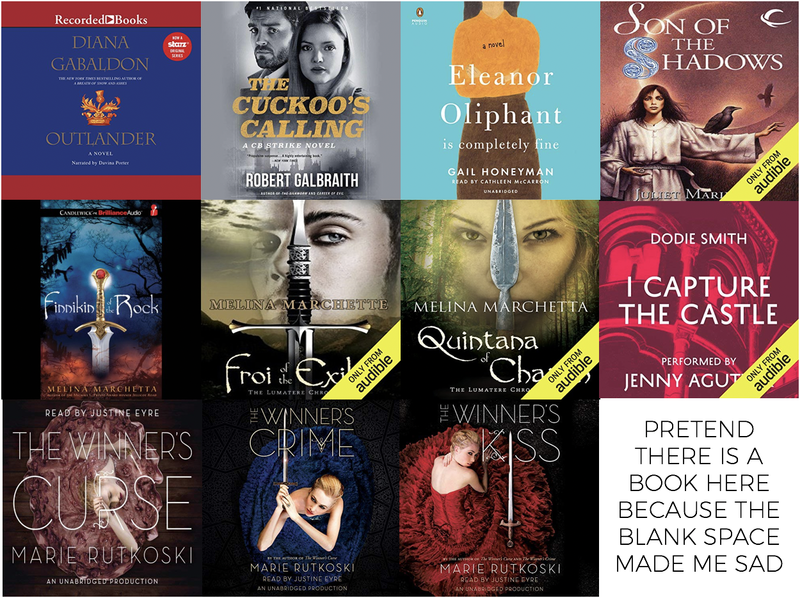 I shared my ten favorite new-to-me authors, and it was actually hard to narrow down my list this time. And, in the most embarrassing admission, I finally started to get caught up on FIVE MONTHS worth of reviews. Whoops! 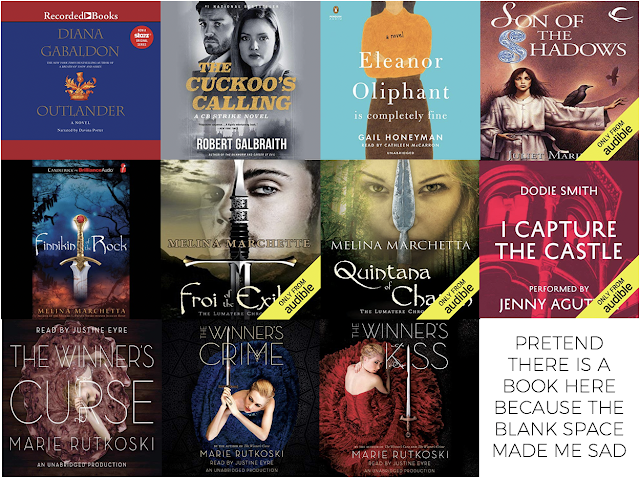 If you're curious, here's my August 2018 and September 2018 Quick Lit posts. I saw someone mention this in their Instagram story and had to check it out. It's so good! This was the main album I had on repeat in January. This isn't a new album, but I'm just now finally listening to it. Where have I been?! I'll always miss The Civil Wars, but I've been sleeping on John Paul White's solo stuff. Ordeal by Innocence (2018) starring Bill Nighy, Anna Chancellor, Matthew Goode, Eleanor Tomlinson & more – I rang in the New Year in the mountains with my family, and this is the show we binged the next day. I thought it was kind of odd and overly dramatic, and the plot didn't make a lot of sense. But I enjoyed the casting at least. Mary Queen of Scots (2018) starring Saoirse Ronan and Margot Robbie – Nick works from home, and he had a slow day in January where I was able to go see a movie by myself during my son's nap. Heavenly! I enjoyed a lot of things about this movie, though I didn't love as much as I expected. But I did have much to discuss with Kelly after. Killing Eve, Season 1, starring Sandra Oh and Jodie Comer – I kept hearing people talk about this show on social media, so I had to check it out for myself. Nick and I were addicted! Having an eight-episode season made it so easy to binge, plus the story made it impossible to turn off. The cast's performances were basically perfection. Peaky Blinders, Season 1-4, starring Cillian Murphy, Helen McCrory, Paul Anderson, Joe Cole, Sophie Rundle and more – This show has been in my queue for ages, and I don't know what made us finally give it a try. WHERE HAVE I BEEN? This show was amazing, and now I'm dying for the next season. Definitely another new favorite! The Good Place, Season 1-2, starring Kristen Bell, Ted Danson, and William Jackson Harper – After the darkness of Peaky Blinders, we needed something more humorous. We decided to give The Good Place a try (for the second time) and had fun watching it! It was enjoyable, but I sometimes find it too silly for my taste. Peaky Blinders is phenomenal, isn't it? One of my British friends recommended it to me when it first came out and ever since then, I've been hooked. I live in Canada, and not a lot of people over here have heard of it, so I always make sure to recommend it to people when they say they're looking for new shows to binge. I'm actually thinking of doing a PB re-watch soon. Love Peaky Blinders. Tommy Shelby is the tortured soul I didn't know I needed on my tv screen. Plus it has great music! And I am loving Deanna Raybourn's Veronica Speedwell series, mostly for giving me my new book boyfriend, Stoker! I feel like cosy days & cocooning at home as a family after the holiday season is just essential for January - sorry to hear you were a little under the weather in that time though. It looks like January has treated you well, and I wish you much the same for February. 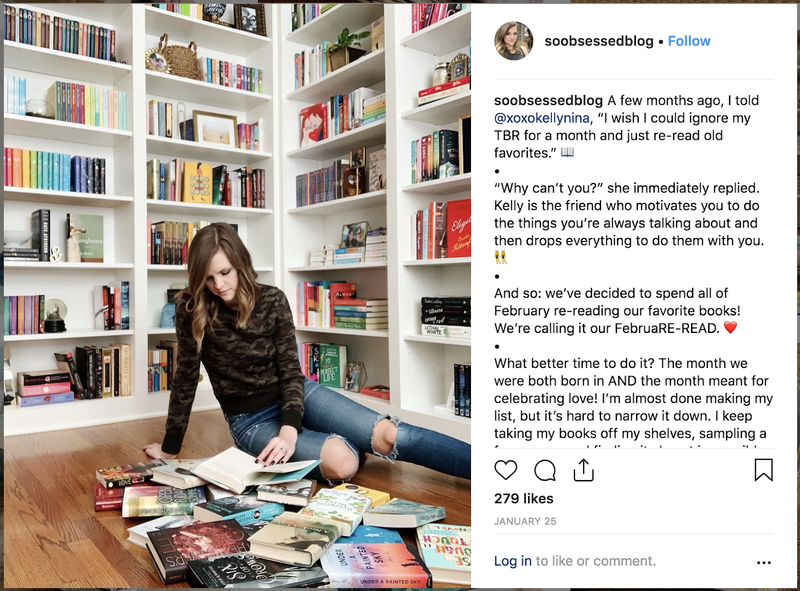 I love that you're dedicated February to rereads - it is lovely going back and reconnecting with characters & books we've loved. I didn't know John Paul White was doing solo stuff! I'm off to listen to everything because I will never not miss the Civil Wars and the amazing music they made. And I cannot wait for more Peaky Blinders to come out, I love that show and it's fimed around where I live which is always awesome to see. I love the idea of FebuRe-Read, what an awesome idea. I kind of want to embrace it because I have been wanting to reread so many books lately, I might just go for it. Why not right? I just wish I'd heard of it sooner as I'm halfway through the month already.